In our busy and harried world it if often too difficult to find a peaceful moment or setting whereby a woman can evaluate who she has been and who should can become. By taking herself away for a day, a weekend or a week a woman can “find her essence and begin to welcome the person she left behind while meeting the needs of others. My workshops address a woman’s need to understand who she is beyond the roles that she plays and gradually begin to individuate and become new. It is a necessary and empowering process. and the hallmark of this retreat is adventure. vulnerability, and thoughtfulness, filled with delight and surprise. were and awaken what has been asleep for too long? “The unexamined life is the wasted life”, according to St. Augustine. To remain oneself in the midst of conforming pressure. To no longer need self justification. To ask the courageous questions. To acknowledge the burn inside your heart and mind. This retreat will help you navigate the waters and move forward toward a new harbor and purposeful beginning. To change is to challenge one’s very existence. Nestled on the shores of the Atlantic Ocean, The Surfside Inn will be a haven for women seeking retreat and repair. The weekend will include activities, discussions, as well as taking a boat to the outer beach, playing with the seals, hiking solo, dining on hearty fare, and exercises that motivate the unfinished woman. Rooms are assigned in the order that payment is received. Was on the cape for the holidays & finally got to watch the movie. It was great!!! My stepdaughter & her husband both loved it as well. They are residents on the cape & were able to recognize various areas in the movie. I on the other hand only recognized you. Thanks for sharing your story. Just saw the movie & now want to read all of your books – perfect timing for me as I’m questioning so many things in my life right now! This is like a breath of fresh air to me! Unfortunately we are not planning any retreats on the NC coast, even though I know how beautiful it is. But I do have exciting news. Joan will be announcing a June 15-17th, 2018 retreat in Chatham, MA on the Cape by this weekend. I hope you will be able to join us. Registration will be posted on the website. Stay tuned. Please add me to your e-mailing list for information on upcoming retreats or discussions, thank you. I have added your contact information to Joan’s email list so that you can receive announcements in the future. Please add the address Joan@joanandersononline.com to your contact list so the newsletter does not go into your spam folder. 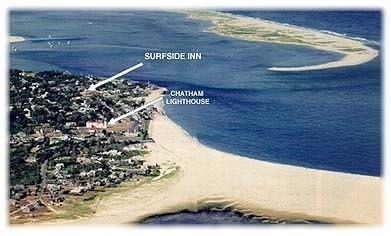 I am excited to tell you that Joan will be posting a retreat in Chatham, MA on Cape Cod this weekend. The dates are June 15-17th, 2018. I hope you will be able to join us. please add me to your list for future retreats in 2018. Can you please add me to the Scotland retreat as well as all other retreats and weekends? Also will Joan ever have an event in Texas? How many retreats and weekends are offered per year? Joan does not have any retreats in the near future planned in Texas. She will be announcing a retreat in June of 2018 on Cape Cod in Chatham on the Website tomorrow. I hope you will be able to join Joan then. At this time Joan does not have a retreat planned for the coming year in Scotland, but if that changes it will be announced on her website. Hope to see you in June. Please add me to you mailing list for upcoming events. I have 4 woman that are interested in a retreat. Do you have a 2018 schedule yet you can send me? Thank you for your inquiry regarding Joan’s retreats. How exciting to share the weekend with a group of fellow seekers. Joan will be posting on her website the next retreat which will be June 15-17th, 2018 on Cape Cod. I hope you will be able to join Joan then. Hi, can you please put my name on the list to receive information on retreats you will be running in 2018. If possible I would like to go on the waiting list for the retreat to Iona, Scotland. I have all of Joan’s books and keep rereading them over and over again. Thank you so much for the stories of your personal travels in life. Please add me to the list for 2018 retreats. Thank you. I would like information on your workshops on Cape Cod. I just read your book A WALK ON THE BEACH and iam so moved by it. I would love to spend time with you and the other women. Looking forward to a workshop one day! I would love to be informed of 2018 retreats. Experiencing one of Joan’s retreats is at the top of my to do list. There have been and are times that her books/website are my saving grace. I look so forward to enriching my middle age life with her gifts. Just finished reading A Year by the Sea. You spoke directly to my heart. Please add me to your mailing lists. I am interested in your retreats. My name is Danielle I’m 29 years old currently working in the greater Boston area at an antique store and I just wanted to email you to say thank you. Thank you for getting the courage to explore your life and share it with others- as well as your friend Joan Erikson. (I’m currently reading a walk on the beach right now.) The second reason I’m email you is I’m actually at a very big crossroads in my life right now. My boyfriend and I broke up after 10 years and I’m going through a career change.I’ve also realized through another woman’s book entitled the artists way by Julia Cameron that I enjoy artist colonies and was thinking about doing something similar to what you did. Do you have any great relatively cheap one person housing recommendations in the outer cape near Provincetown Massachusetts? I’m interested in taking a few filmmaking classes with PTV but I figured I’d email you and give it a shot. It’s not easy finding good secluded housing for a writer/artists but I know you are the one to ask. Thank you for your time and I look forward to hearing for you. I would love to be included in your updates regarding future retreats. I just finished “A Year By the Sea” moments ago and am driven to move forward in a similar path. My weekend will be full of great introspection and dreaming. Would love to be added to the retreat list. I connect with so many parts of your writings – would love some guidance and growth for sure. 2017 or 2018 retreats would be amazing! Thank you for your stories – everyday is a new beginning and I am so grateful for your books! Please include me in the news letter for upcoming retreats to Scotland. Thank you so much! I’m currently re-reading”A Year by the Sea” for the second time and recommended it to my best friend who is going through the same. Much appreciated! Trish, thank you for getting in touch with Joan. If you decide to have a book club around “Year By The Sea”, you could call in for a chat with Joan via speaker phone. It always is fun for the group and for Joan. I have added you to the list for future retreats to Scotland and included you on Joan’s newsletter contact list. I have been to Iona with Joan and would like to go again. Joan said she would always remember me as the girl in the plaid skirt. Please add me to your list! Pleae add me to your mailing list. I am interested in receiving information on all retreats. Thank you. Dear Selena, thank you for your comment regarding future retreats with Joan. At this time we are looking into Spring and Fall 2018 retreats on the Cape. I have also included you on Joan’s newsletter contact list. Stay tuned. I saw the movie A Year by the Sea this weekend and had the opportunity to hear Joan speak. I would like to know how to attend a future retreat. I feel that I found her story at this time in my life for a reason! Please add me to the list of folks interested in the 2018 retreat to Iona. Thank you. Dear Patty, thank you for the inquiry regarding Joan’s Iona retreat. I have added you to the advanced notification list if Joan decides to hold one next year. I have also added you to Joan’s contact list for her newsletter so you can stay up to date with all the news. If you add joan@joanandersononline.com to your contact list it will assure that her emails do not go into your spam or social email list. Please add me to Joan’s distribution list. Thank you. I would love to attend one of your retreats in 2018. Please keep me informed. Hello, could you put me on the email list for Joan’s retreats? Stumbled on A year by the Sea and now found An Unfinished Marriage. Thank you Joan, for writing the thoughts in my mind! Please add me to the list for future retreats, events etc. Could you let me know where the Iona retreat group stays while in retreat? Thx! I am interested in 2018 retreats. Please include me on the newsletter mailing list. Thank you. I will include you on Joan’s contact list so you will be able to keep up to date on future retreats and her unfinished thoughts posts. Please add me to the list for 2018 retreats. I have included your information to Joan’s contact list so you will be able to hear about upcoming events. Could you also add me please. Email rosmc1@msn.com. I would like to be on the email list for retreats in 2018. I am in Brisbane, Australia. I would love to go to Iona but also love the Cape and Boston on my travels so open to all! I have read Joans books many times over especially in some of the more poignant times of my past 10yrs. Please add me to list for info on retreats speeches gatherings … Play. Carol I will add you to Joan’s newsletter contact list. This will keep you up to date regarding retreats, appearances, and everything related to the movie Year By The Sea. I would love to be placed on the list to receive information regarding any of the retreats book signing or speaking events when you are ready to send it out. I would be very interested in knowing more about the retreat to Iona in 2017. Please add me to your list to contact once you have details. I’d like info about the retreat in Scotland in the fall of 2017. I have added you to the advanced notification list for the October 2017 Iona Retreat. Joan and I are finalizing the details and expect to have the announcement out by the end of August. We hope the dates work for you. It will be on a first come basis since there are only 22-26 women that can be accommodated. The $500 deposit will be via PayPal on this website. I have your email and will be in touch in about a month. I would love the fall retreat 2016 or one in 2017 that Joan is doing. I just got through writing a desperate text message. I apologize. I never looked at the workshops available. I would DEFINITELY want to go to one of you workshop but unfortunately I cannot afford the cost. Everything I want to do to help myself takes money. I have Medicare as my insurance. I doubt if they will cover it. It’s a shame isn’t it? A person needs help and can’t get it. October 2017 will be my 5th month into retirement. I would really like (need) to be one of the 22 women on the Iona retreat. Brenda, that sounds like a wonderful place to launch your Second Journey. I will keep you posted regarding the dates. I would like to receive information regarding the Kripalu Retreat when you are ready to send it out. I have read, more than once, A Year By The Sea and The Second Journey. I will now open one of the books to a random page to receive a message for the day, of course, it is exactly what I need to read. What a wonderful idea to open A Year By The Sea and read a random pearl of wisdom from Joan. It is amazing how Joan has been able to put many of the feelings that women have into words. Her story is universal and timeless. Kripalu should be putting up the winter workshops shortly. If you go to http://www.kriplau.org you will be able to register and read the description of the weekend. I have added your email address to Joan’s contact list so you will be able to stay up to date regarding all the exciting update about the movie and future retreats. I would like to attend one of Joans retreats – I am in Houston, Tx. It looks like they fill up fast so I will be flexible on date and location. Thank you for your inquiry regarding Joan Anderson’s Retreats. We are presently looking into November dates for a weekend retreat on Cape Cod. I have added your name to Joan’s contacts so you will receive her newsletter regarding all the updates about the movie and where Joan will be next. Make sure to add http://www.joanandersonline to your contact list so the newsletter does not go into your spam account. Look forward to seeing you in the future. I’d like to get informations on Iona retreat in 2016. I would love to find a way to join. Would you please put me on your e-mail list? Unfortunately Joan will not be hosting a retreat on Iona in the fall of 2016. She will be announcing a retreat for October 2017 late summer of this year. I have added your name to her advanced notification list. Since there are only 22 openings the retreat has filled up very fast in the past. I would love to know more about the Cape Cod retreat. I embarked on my own path on November 5; your book “A Year at the Sea” literally fell off the shelf at my feet; I read it in two days and like the many women who found you earlier, I felt it was also my story. Thank you for that connection. Hello. Could you please place me on Joan’s mailing list? I am forever a week too late in getting to this retreat on the Cape. Hi, I am interested in the February retreat. Do you still have openings? Sherry Johnson told me about Joan and it sounds like a wonderful experience! Also I have been to Iona, and if she does that again, I would definitely be interested! Wow, that did fill up fast! Please add me to the waiting list for Cape Cod! Thank you. I would love to be added to the wait list for the Scotland trip. My questions are; does the $2900 cost include airfare? Where do you fly out of? I would also like to be added to Joan’s email list. When are we able to sign up for the Scotland trip for 2016? I feel that this retreat is calling to me. I love and have read all of Joan’s books. I can’t wait to see the movie!!! Like many admirers of all Joan’s books and wisdom, I would love to attend the Iona workshop this fall. Obviously, the waiting list appears long, but please add me to it as well. I am a new owner of a small independent bookstore in Cedar Rapids, Iowa and have been sharing the wisdom from Joan’s books with every woman I meet that seems to be in the same search for meaning in their lives as her words and reflections seem to resonate with so many of us. Thank you for being “generative and passing on what you’ve learned” with all of us. So sorry I missed your reply! It’s been a crazy summer and now fall is here already. I would love a visit from you when you visit your friend in Decorah. We’re not too far away . . .
Have enjoyed all your books and passing to sister/friend. Thank you for your insight. Would love to attend a retreat on the Cape. Please keep add me to the list. I’d like to get info on Iona in October and cape retreat in early 2016. I’m already planning to be in uk in October and would love to find a way to join. I have placed you on the waiting list for the Iona retreat. If there is a cancellation I will let you know. Being that you will be in the UK at that time it might work if there at the last minute a woman cannot attend. I will also place you on Joan’s newsletter list. Loved meeting you and Joan at Omega beginning of May. What a dynamic and transformative experience. Please add me to the wait list for the Scotland trip. Now that would be a trip of a lifetime. Thanks so much. I attended the May 1, 2 and 3rd Second Journey, Second Chance Retreat at Omega and would like to be notified of any new posts by email. I am grateful for the experience of attending this workshop. Hi Peg, It was great to meet you at Joan’s Omega retreat. I will add you to the contact list and you will be receiving Joan’s newsletter and all the updates regarding the movie Year By The Sea. I’ve read all of Joan’s books and every one of them has touched me at the deepest of places. I’ve re-read two of them… I think it’s time to retreat! Can you put me on your mailing list? I’m a definate “go” for a Cape retreat in January. It seems like a long ways off but it’ll be here before we know it. Candy so good to hear from you and look forward to meeting you in the future. I will add you to the contact list so you can receive Joan’s newsletter and follow all the upcoming events. Could you please let me know if there is a wait list for the retreat in Scotland. I have just started reading Joan’s books and would love to participate in this retreat. I do have a waiting list for the retreat on Iona in October of 2015. I will certainly add your name to it. I will also add your email to Joan’s contact list so you can stay abreast of updates regarding the movie and upcoming retreats. Do you have any retreats in the summer or fall? Do you ever make it to the West Coast. Please add me to your mailing list. I will add you to Joan’s email list so you can stay abreast of the upcoming events regarding retreats and Year By The Sea the movie. At this time we do not have any retreats scheduled for the West Coast, but it is always a possibility. The next retreat after the one on Iona will probably be January on the Cape. I think you might be mistaking the $2,950 cost which is for the Iona, Scotland Retreat. In the past the Cape Cod retreats have ranged in price from $1,300 for a private room and under $1,000 for a double. The retreat includes meals, accommodations, and the retreat time with Joan. The wonderful thing about the retreats is the bond that forms between like minded women. I will add your contact information to Joan’s newsletter list. Could you please add my name to the waiting list for the next trip to Iona this coming October? Thanks and I hope all is well with you both. Life is amazing out here in Montana…your invitation is open ended!! Cathy great to hear from you and we are so happy you are enjoying life in Montana. Maybe someday we will get out that way. I have added you to the waiting list for Iona. Hope to see you soon. Let me know if you are in New Jersey in the near future. I am so excited but have only just noticed the retreat to Iona this year and am wondering whether it is too late or whether you have any spaces available? I would dearly love to attend. I would also like to be added to your email list to receive information, newsletters and advice about upcoming retreats etc. to your “safe senders” list or to your address contact book to prevent it from potentially being filtered as junk or spam. I will also place you on the waiting list for Iona. Hope to see you at an event in the near future. Hope to meet you at an upcoming event. Is Iona still open for registration or has it closed? Thank you! Dear Ann, Thank you for your inquiry regarding the Iona retreat. Unfortunately it is is sold out. I will add your name to the waiting list in case there is a cancellation. Could you please add my name to the waiting list too. Dear Ann, I will add you to the waiting list for Iona and also put you on Joan’s contact list so you can keep abreast of all the upcoming events. I too would like to know when the next retreat is scheduled for Cape Cod. Dear Beverly, great to hear from you. As you know Joan just had a retreat in January on Cape Cod. At this time she does not have another one scheduled on the Cape. On May 1-3, 2015 Joan will be at the Omega Institute in Rhinebeck, NY. Maybe you could join Joan there. Hope to see you soon. Dear Kathleen, I will place your name and email address on the list to receive Joan’s newsletter and any upcoming events. At this time Joan does not have another Cape Cod retreat schedule, but she will be at the Omega Institute in Rhinebeck, NY May 1-3, 2015. Look forward to meeting you in the future. Hello as am from Alberta Canada am also wishing to be added to a list to let me know when there is another Cape Cod retreat. I will add you to Joan’s email list so you can stay up to date with all upcoming events. I will also let you know of any upcoming Cape Cod Retreats. On retiring this year. I feel a need for another retreat as I move into another phase of my life. I am interested in the Cape Cod Retreats. Thank you for your inspiration! I have enjoyed reading Joan’s books and am counting the days! Will you repost the travel information for getting to Cape Cod? Which airport we would fly in to, ferry costs, etc? The travel expense is often greater than the cost of the retreat and I would like to check on it. Dear Linda, If you are coming to the Cape you can fly into Boston’s Logan Airport and take the Brockton Bus Line to Barnstable. Buses go every hour. Check out http://www.p-b.com or you can fly into Providence, Rhode Island and rent a car. There is no ferry required to get to the retreat. There are still a couple of room available if you are thinking of joining Joan, you can register on this retreat page. Hope we get to toast in the New Year together. I attended one of your retreats in 2004. It was amazing. Life has taken some twists and turns and I am ready to come away if there is a single available in Chatham this month. Cheryl, Joan always comments on what a difference a decade makes. Here you are just over 10 years since your last retreat. Joan has an exciting new agenda based on her upcoming book. Stretching Towards Solutions and Resolutions. What a great way to kick off the New Year. There is still a private room available, and if you would like to register you can do so on this page. Hope to see you in a couple of weeks to toast into the New Year filled with things that have never been. I just made the first 2 payments. I’m thrilled to be able to do this again. Thank you for getting back to me. I look forward to meeting you, and seeing Joan again. Joan has an amazing weekend planned. Can’t wait to see you. years ago….still have the single oar that I found on the silent walk. When will you next be going to Monhegan Island? I’ve always wanted to go there and unfortunately missed an opportunity last summer. My dearest friend and I attended your retreat on Monhegan Island 3 years ago…it was incredible. We are from Texas and the scenery of Maine coupled with the soul cleansing was just what I needed. I am interested in attending another workshop…are there any locations coming up that can rival Monhegan? Please let me know about the next retreat on Cape Cod. Thanks. 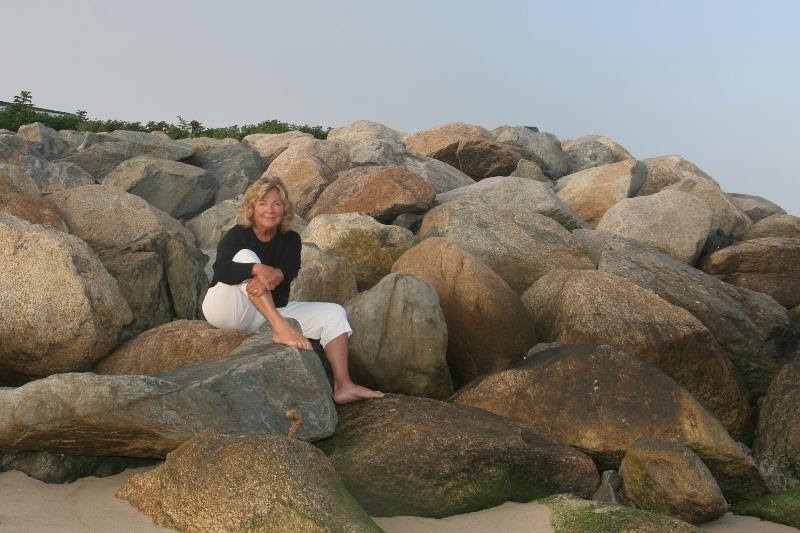 Carolyn, our next retreat on the Cape will be the weekend of January 30-Feb 1st. 2015. Hope to see you there. I will add you to the contact list and we will be announcing it within the week. Have read your books, Joan. Have passed along and bought for others. You are a source of peace. I come to chatham every thanksgiving. But feel a need to get to a retreat if you are doing one sooner. Life has thrown some curve balls. Kathy, Joan will be at Kripalu in the Berkshires of MA Sept 19-21. Second Journey the Road Back to Yourself. We haven’t posted it yet, but late January she is looking at doing another retreat at the Chatham Bars Inn. I hope one of them works into your schedule. You can read more about the Kripalu retreat and how to register on the retreat page. I would love to receive info on the next Cape Cod retreat. Judy, Joan has not posted it yet but is looking at doing a retreat in late January at the Chatham Bars Inn. I will put you on the email list for notification once we announce it. Tamie, Joan will be at Kripalu in the Bershires of MA Sept 19-21 for Second Journey the Road Back to Yourself. You can go to the retreat page and register on line throught Kripalu. Joan is also looking to do a retreat on Cape Cod in late January of 2015. Hope one of these dates works for you. I would be interested in Summer/Fall retreats which are planned or being discussed. I just finished “A Walk on the Beach”. For 5 years I have felt pulled to the Sea, to begin a regeneration of who I am now. I was widowed in 2009 after a lovely and successful marriage to a Teacher who adored his job. There was so much he taught me about life. About people, but mostly about myself. I tell others that I was his first ‘student’. I have wanted to write our story, mostly just for myself, because I feel it needs to be told. I would give a copy to each child upon my death. And there are other aspects I would like to reclaim and refocus on. If retreats are planned, could my name be added to a mailing list. In the meantime, I am reading “a Year By The Sea”. You are a lovely communicator. 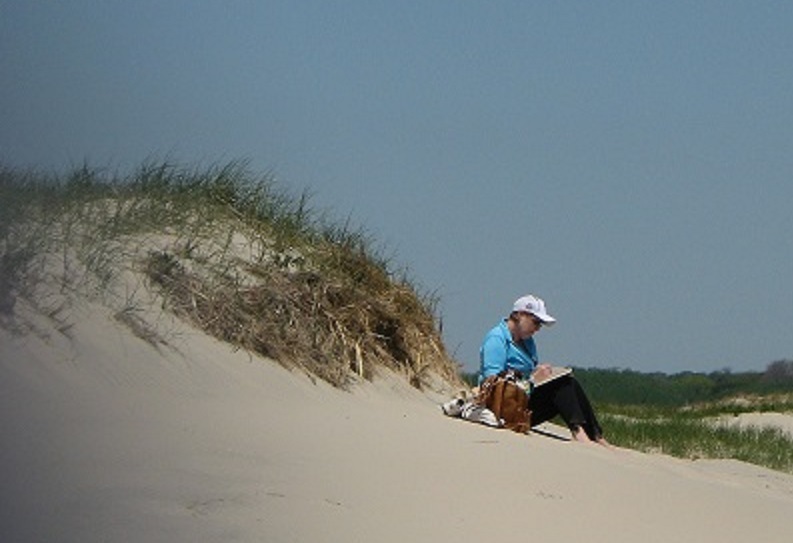 Will you be scheduling any Cape Cod retreats in 2014? Dear Peggy, Joan has not scheduled a retreat for the fall of 2014 yet. She is presently looking into November at The Chatham Bars Inn. Once that is finalized I will email you with additional information. Words cannot begin to describe what I experienced at your retreat in Cape Cod. Somehow it is as if your soul answered the call of my soul and guided me into a beautiful new existence. I feel reborn with the purpose and direction I was so desperate for……. Thank you does not even come close. Joan, it has been 2 years since I stumbled upon your book, A Year By the Sea. I had entered the shadowlands of my life and it was manna from Heaven. I was depleted physically, mentally, emotionally, and spiritually. I devoured it! I re-read it and also read all of your memoirs twice. I put them away and from time to time found myself pulling one or the other off the book shelf to peruse yet again. I was desperate for something tangible to hold onto that would calm my fears of being the only woman alive undergoing changes within that brought so many questions and wrought so much discontent. Much to my disappointment, I have not had opportunity to attend your retreats. However, time has brought about a change in my circumstances. I have decided to leave my hometown and my husband of 34 years, temporarily, to live for one year alone in Ft Myers, Florida. My plan is to “retreat” and journey inwardly, replenish, explore the questions, make friends with the past, become excited about the future, and learn more about the woman within. Will you give me any suggestions for this time of my “retreat” and suggest any books that may partner with me on this year journey? I hope to have the opportunity to meet you someday at one of your retreats. Mine is a heart of gratitude for your work. Thank you so much. I stumbled across your book “A year by the sea” while on an unexpected trip to Barnes and Noble and am i ever so glad i did. Being a woman who has been seeking an answer, an understanding of some sort and definition as to my purpose for 4+ years now i found myself at B&N seeking more answers that particular day and came across your book, i am just now finishing “A walk along the beach” and just ordered the next 3 yesterday. I am anxious for their arrival. After 6 pages in to “A year by the sea” i felt like i could have written the words on those pages as they mirrored my life, my feelings, etc. I thank you for sharing of yourself and the affirmation alone that our thoughts are not “crazy” and we are not alone out here feeling the way many woman find themselves feeling. These books and your words and wisdom will stay with me for a lifetime. Again, i thank you. 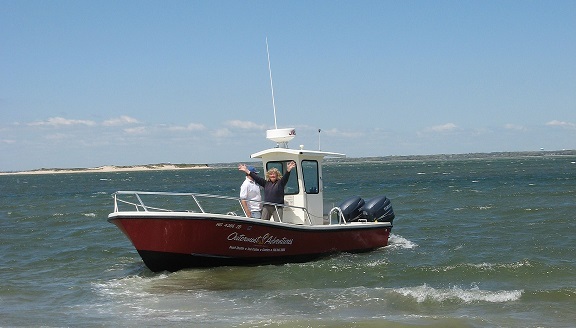 Could you please let me know when you will have retreats on cape cod for 2014? It is a goal of mine for this year that i am determined to make come true. Thank you and I look forward to hearing from you. I have no idea how your book came to be in our house, but something pulled me to it last night. I couldn’t put it down, I’m 51, my girls are grown, life has been hard the last eight years, health and a child’s drug addiction. Our marriage is complicated and until reading your book I felt alone. Your honesty is so refreshing, you calmed my spirit with your words. My flight instinct has been so strong lately, yet I control the urge because I have my work, my husband and my children to think of, how could I be so selfish, and yet I fear I’ll crumble into a thousand pieces if I don’t run away. I was meant to read your book “An unfinished Marriage” . Thank-You for your beautiful words that have opened a door for me, today starts a new day for me. I have read every one of your books and have enjoyed each so very much. The book “A Year By The Sea,” I have read four times. I keep it close to my night stand. It has helped me through some tough times and offered such insight. I am going to attend one of your workshops. Let me rephrase that. I plan on attending one of your workshops at Chatham Inn and attending the one to Iona. I have done much reading on Iona, Scotland, and can I feel a pull – I need to be there. I was hoping 2014 would be my year, but sadly have wracked up to many medical bills from an accident. So, my sight are on a new 2015 with a new workshop in store for me and hopefully a dear friend of mine. Joan, thank you is small compared to what I have received from you through reading your books. Joan I have read all your books & have gathered so much great information from them. I retired a year ago & am going through a new passage in my life. I am very interested in coming to one of your retreats. I live in Florida & wondered if you might ever get here to have one. where do I find information on the Cape Cod retreat? Doesn’t this one entail a great deal of travel from California? I would like to do a retreat located close enough for one plane ride with no changing of planes if possible. while my sixties began in high gear finding my life on an upswing in all ways that lasted only four years until my world caved in on me for more then a decade. That is why I want to experience one of your retreats, to reclaim ME. I have enjoyed and re-read most of your books, as they have often brought me back to a place of comfort and understanding. It is on my “bucket list” to attend one of your workshops. Will you be doing another one in Iona? I am Irish, Scottish and have not yet traveled to either country but would love to incorporate your retreat into a journey there. Also, I contacted you a number of years ago to see if you would consider doing a retreat here in WA on San Juan Island. I believe you had done one on Whidbey island that year. We have a home here and there is a beautiful old Marina Resort here you may have heard of, Roche Harbor Resort. Anyway, if you’d ever be interested in doing that (I think you kindly wrote me back and said when I approached you that you would consider it), I’d love to help make that happen. Anyway, thank you again for your words, your wisdom, your insight and your guidance. It has been very close to my heart in so many ways. I am looking forward to your movie! I find I keep having conflicts sadly with your workshops but one of these days. I was fortunate to have made it to Ireland last fall for the first time and felt such a connection with the lovely people there. Hopefully in the not too distant future I will find myself in Scotland as well. I wish I could entice you here to the N.W. and San Juan Islands….. Best of luck with the release of your movie. And thank you again for putting into words what is in so many of our hearts. I will be turning 60 next May 2014. I would love to come to one of your retreats as I transition into my next decade of living. Your books have helped me through my 50’s raising teenagers, dealing with marriage issues, parents dying, etc. I live in Los Angeles, originally from Oregon, and my mother & relatives from New York & New England. Travels I’ve made to New England have always felt like returning to old roots where my ancestors landed from England centuries ago. I will hold the vision and the hope to attend one of your retreats in my 60’s if not my 60th year. Thanks for all you give. I appreciate your insights and courage. How nice to hear that our thoughts are similar and the books have resonated with you. Happy Birthday as turning 60 can be a major jumping off point for the individual woman who no longer needs to play the role. I’m curious what’s on “the other side” so to speak as I enter my 60’s. It seems so “old and mature”, but I still feel 35 inside. Hope your Thanksgiving is full of gratitude and good food! Thanks again for responding. Do hope to come to one of your retreats sometime in my 60th decade. At a time of life when some might think there is nothing I really have to resolve, I find that there are a multitude of questions, yearnings and ‘needs’ I would love to explore and hopefully fulfill in the next decade and beyond of my life. You might refer to me as a stalled soul or someone who has finally realized there is something out there she needs to understand about herself and her life that she has not fully realized until lately. about your retreats so your input would be so appreciated. My energy level has gone down somewhat so anything that does not involve complicated traveling would be great. I look forward to hearing back from you Joan. retreats scheduled on the Cape for 2015? Thank you.